There’s no doubt that online shopping is a popular choice for shoppers around the world. After the rush of Black Friday (and the calm of Small Business Saturday), we look forward to the easy excitement of Cyber Monday. It’s a day we can jump online and take advantage of the great deals offered there (instead of standing in line for hours again). By 2018, the number of users buying online is expected to hit more than 50 percent of total internet users worldwide. The world continues to move forward in its loyalty to e-retailers. This not only includes businesses that have brick-and-mortar locations along with an online option, but those that have an exclusively online presence as well. As brands try to engage customers on a more personal level, consumers are looking for interesting and creative packaging methods when they make a purchase. As part of this buying and packaging behavior, Mintel has gathered statistics and put together their e-commerce packaging trends for 2017 that are worth watching out for. Here’s what we feel is going to be big this year. 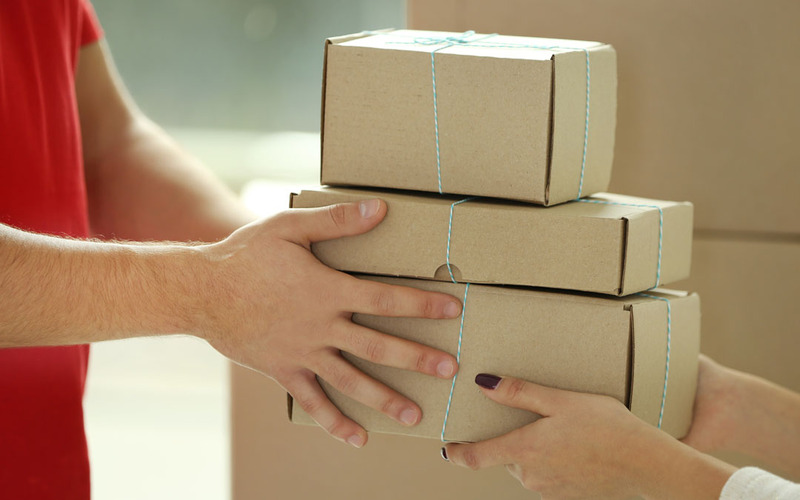 Shipping options for online retailers are growing not only in simplicity, but in style as well. Affordable and efficient packaging supplies like kraft padded mailers, sturdy packing tape, and kraft shipping tubes are just a few of the options available to make sure items get to buyers safely. Canadians are becoming more interested in re-sealable and re-closable packaging that eliminates excess waste. More and more packaging supplies (like paper void fillers) contain pre-consumer recycled material, which contributes to more earth-friendly products. From temperature-sensitive color-changing labels to “smart” packaging, innovative packaging design continues to create ways for our purchases to “talk” to us. They let us find out more information about our favorite brands instantly, and they make sure our products arrive fresh and tamper-free. Mintel sees packaging as an important component in the creation of a memorable shopping experience. The rise in personalized drink bottles, secondary packaging that serves a purpose, and decorate-it-yourself labels will be big packaging trends for 2017 in the e-commerce world. Any packaging designed for online shopping that’s attractive and simple will appeal to shoppers on a wide scale. For example, popular portion-controlled snack boxes from Graze are customized by the buyer and then shipped to their front door. Online retailers have unique needs. Quality packaging supplies will make sure their customers are happy and their products are kept secure, while a strong supply source will keep them stocked properly, conveniently, and at a price that fits their budget. From envelopes and kraft padded mailers to kraft shipping tubes and everything in between, The Packaging Company has all the supplies online retailers need.